Rebuilding an old Jato 3.3. What to do? It needs a new motor without a doubt.. But what other major parts should be replaced? Or just replace what's broken? What motor is recommended? I can get better pics this weekend. Apologies for the terrible ones. I know the Jato isn't well liked around here(like most Traxxas) but I just want a fun nitro on a college student budget. 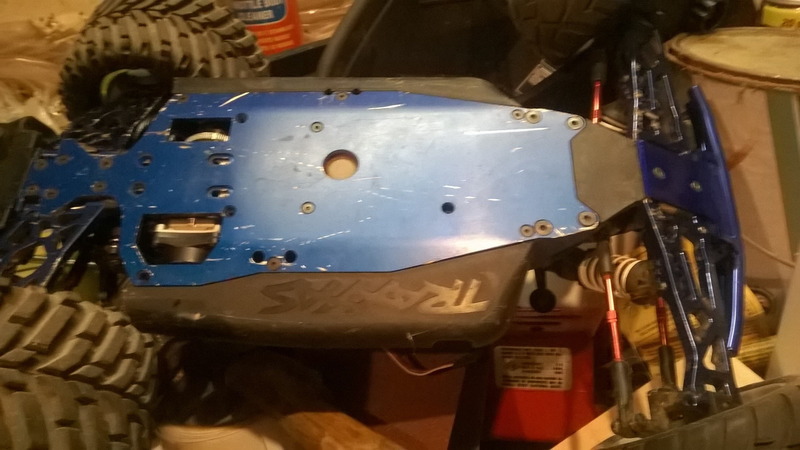 If there's a good nitro kit I can get for the price this will be to repair, I'm all ears. I love working on stuff so the hours of work for this one is a positive, not a negative. It will be for loose gravel and short grass. I know it's not "technically" off-road(2WD) but I'm not looking for awesometastical performance on the grass. Just some fun. We do have an absolutely massive parking lot about 5 minutes away that's usually empty so it will definitely see some use there too. Last edited by Mallowpuff; 04-09-2019 at 01:36 PM. Alloy brake arm kit is a MUST. Rebuild the transmission with new bearings, gears, and replace the 2spd clutch drum. 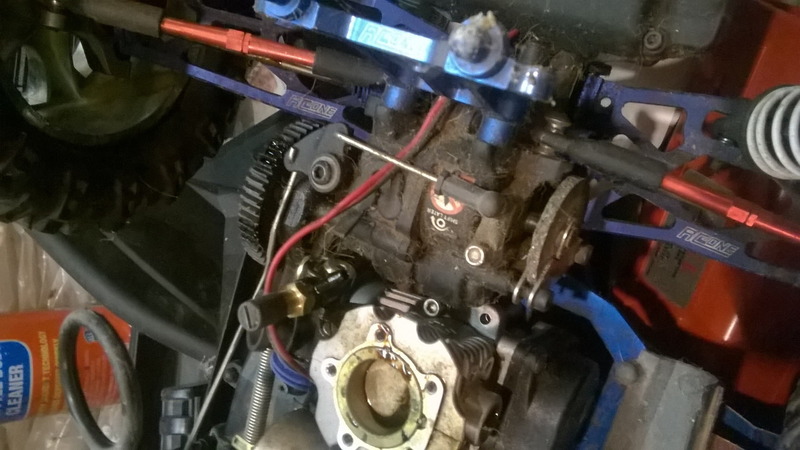 Replace the bushings in the steering assembly with bearings. 4x7x2.5mm are the dimensions and you need 4 bearings. High torque servos. I used Hitec HS645MG for steering and throttle/brake. 1100MaH 2S LiFE Receiver Pack - they’re about $6 each from hobby king and work great. Drilled the stinger of the Resonator pipe out 0.5mm from what it is stock. It sounds like a lot, but it’s not that big a deal. The stock arms and bumper are fine. 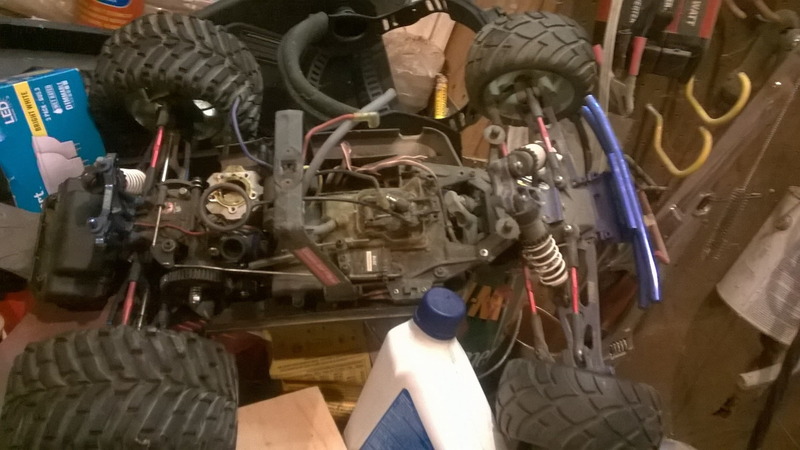 I put a modified Traxxas 3.3 in mine. If you want something less finicky, get a Novarossi 2.5cc engine with recommended pipe and manifold and forget the 3.3 exists. Like I said, I will get better pictures this weekend(maybe sooner), I am not home but after looking at the pictures again it has a lot of aluminum on it already. The previous owner definitely did some upgrades. Do you know if the Novarossi would bolt right up? Because I would give power for reliability happily. I do not have the urge to reach 65mph on the pavement. As long as it would give the power needed to have some fun on the grass. I checked prices and it's even cheaper than the 3.3 which is perfect. Nova anything is worth the money you pay for them. They are far and above the Traxxas engines, but if you put some work into a 3.3, they can be quite powerful and durable. But for plug and play, you can’t go wrong with a Nova 2.5. They’re good engines. Here’s a video of my Jato running with the modified 3.3 Traxxas engine. It’s only had a quart through it (10% nitro 14% oil) and still running rich (214F) pulled 56.7mph with 22/58 gears. I can’t wait to see what it’ll do with 24/54 gears and 35% Nitro. She should sing pretty good. 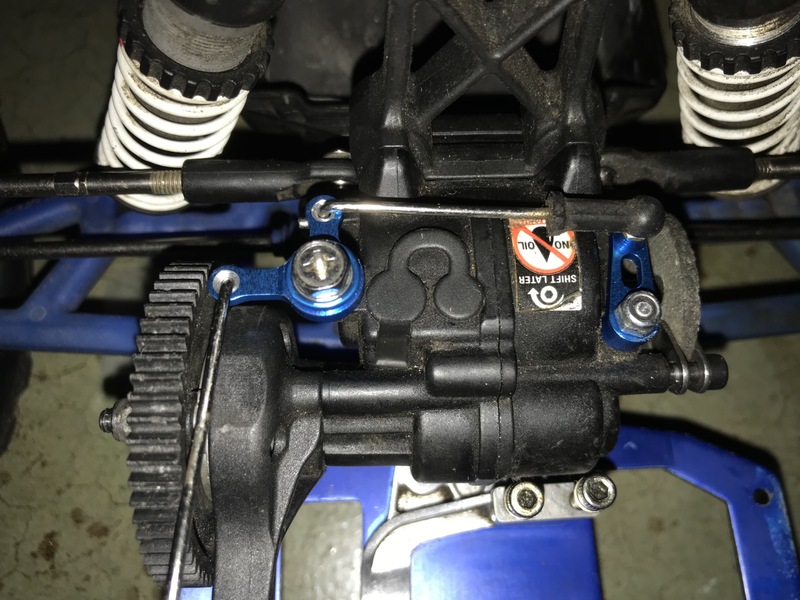 @SlowLST2 I have ran traxxas 3.3 engines on higher percentage nitro fuels and they do not do well.. quality of materials in those engines can not handle more than 25%. at least in my experiences. and they run extremely hot on 30-40% nitro fuels so to compensate you have to run them richer and well it doesn't help the cause. The engine has to be properly setup to use higher Nitro fuels. Glow plug selection is critical. If you use regular hot plugs, they’re too hot. Also, the engines breathing and timings have to be in check to take full advantage of the fuel. Stock RTR engines rarely do well with more than 25% Nitro for very long. My 3.3 pictures above is nowhere near stock. 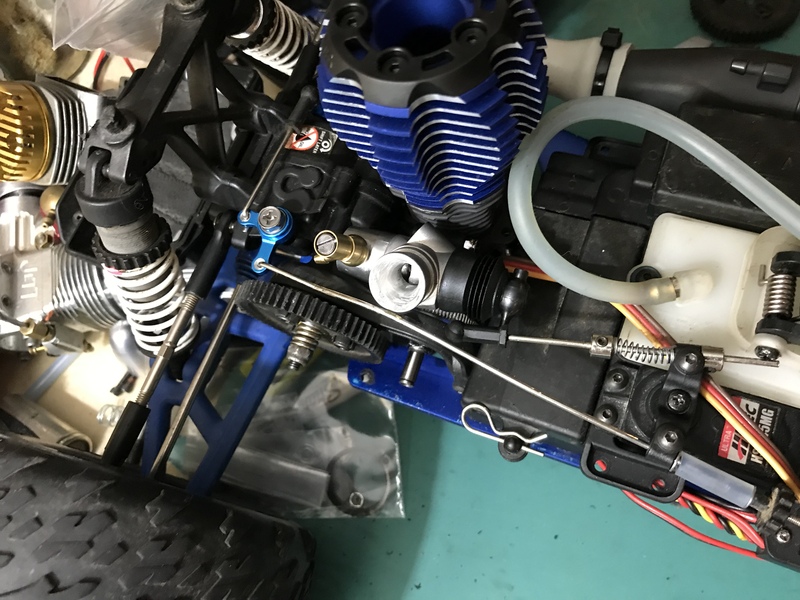 @SlowLST2 what have you done to the trx 3.3 engine that is modified from stock to handle 35% nitromethane fuel? the 3.3 mods should be a good tale.. 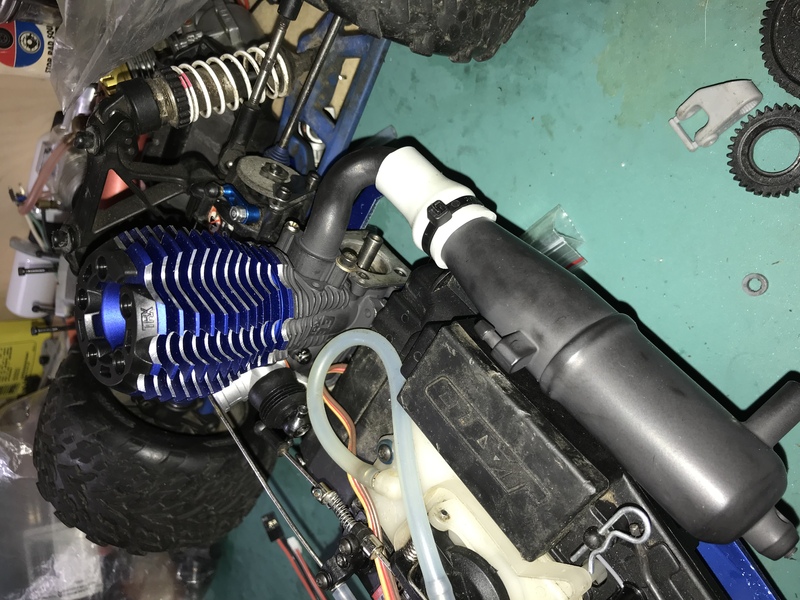 I removed my nitro in mine made my own stainless steel motor mount and put a 700 series brushless in it a few years ago. I run it on unicorn pee and pixie dust. Works every time. Last edited by SlowLST2; 04-18-2019 at 08:02 PM. I guess all my nitro engines are modified.. I change plugs in them all the time. Nevermind. Not feeding any more trolls. Last edited by SlowLST2; 04-18-2019 at 08:01 PM.